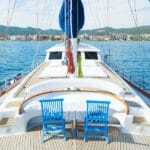 Yacht charter holidays from Turkey are wonderful alternatives to enjoying a vacations on land only. These dreamy yacht vacations offer the opportunities to travel by sea to places that are sometimes not so easily accessible otherwise. These are holidays that also present a great deal of choices for seeing many destinations in one holiday time, instead being stationed in a single place – where additional transportation is required to see nearby places of interest. A yacht charter Turkey vacation can be as peaceful and quiet or as adventurous and lively as you wish. 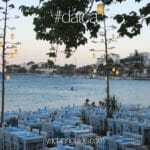 The places you visit are also a feature in luxury gulet cruises, where itineraries can at most times be quite flexible. They are private yacht charters from Turkey that cater only to you and your group, on your holiday time away from home. While the whole concept of venturing on a private blue cruise is all so alluring, choosing the right gulet that is for you is something that requires answering a few questions and sharing your thoughts and requirements with your yacht charter agent so that you can enjoy your holiday according to your expectations. While some travelers prefer to choose a yacht based on its specifications and features and then work out the best price afterwards with their yacht charter agent, other travelers will start with how much then can afford for a yacht holiday and from there, the agent will shortlist a series gulets based on their budget, as well as the size of their group. One other factor to note is that some gulets are limited to where they can travel. Therefore if a guest is seeking a certain route, a set of destinations they wish to see, it can change the selection of gulets that they can choose from. This can be as such when routes that include Greek Islands are preferred. The primary task of an agent is to offer gulets for charter that best meet with the criteria the guest has shared. 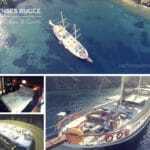 This is very important since photos can only show so much of these lovely Turkish boat charters – and the agent is the only person that has seen these gulets first hand. As a result, the more information that is provided by the guests, the better an agent can understand, which gulet would be ideal for their requirements. The key information can comprise of, price range, number of adults, number of children and their ages, where they wish to go and see, what sort of activities they would like to do, and the style of accommodation – since gulets come in both classic and modern interior design. For instance, if guests are tall, they may require larger beds. In this case, there may be two gulets with the same classifications, the same prices with similar features, however the cabins and beds may be a bit smaller than the other or the deck areas might have features that are different than the comparison gulet. There are many fine notes to take into consideration when looking for the right gulet. But in most cases everything usually turns out right. Another specification is sailing and sails. While most gulets are rigged to sail, some are not. 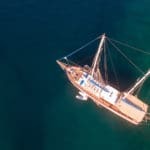 If you are looking forward to a gulet sailing holiday where the sailing part plays in an important role during your blue cruise travels, it might be a good idea to mention this to your yacht charter agent, so that they may be able to focus on this criteria when sourcing the right gulet charter for your gulet cruise. All in all, gulets are designed to please and the guests are meant to enjoy. Therefore, plenty of information shared, may just match you and your group with the gulet that is just right for your blue cruise holidays!